With films like Rogue One and Solo, Disney has ambitiously set out to explore never-before-seen corners of the Star Wars universe, and now it looks like that universe is about to get even bigger. Grab your lightsabers and turn off your targeting computers, because it has been officially revealed that the next Star Wars movie will be entirely about punishing Chewbacca for trying to be human. Too cool! It’s really about time. Slated for November 2019, the untitled Chewbacca movie will center on Han Solo’s big fuzzy co-pilot as he’s punished over and over for behaving like a human being instead of the huge unsettling ape-thing he actually is. 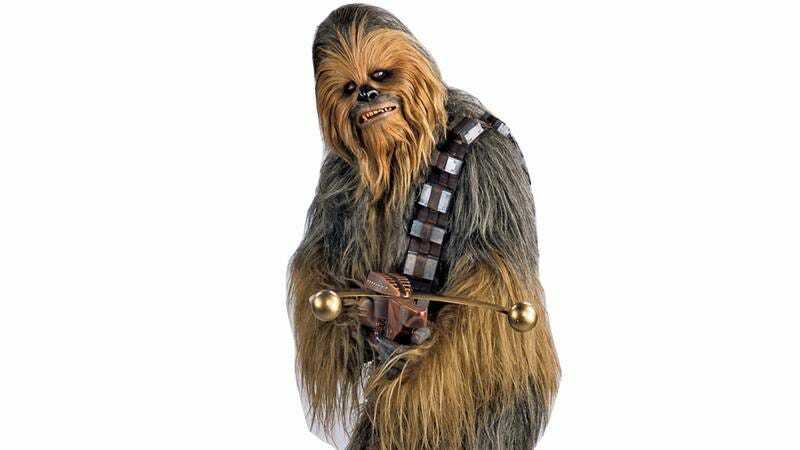 Set as a side story in the current Star Wars trilogy, Chewbacca will embark on a galaxy-spanning adventure where every friend, foe, creature, and droid will team up to make him pay for his vulgar imitations of man, zapping and whipping and cursing him wherever he goes until he is sufficiently shamed and broken. While Disney has yet to offer up many specifics, rumors have already started to swirl about the recently announced project. Leaked casting calls for roles like “CRUEL BUT FAIR CORUSCANT JUDGE, 50s” and “CACKLING ELECTROSHOCK-LEASH SALESMAN, 30s” have set the internet abuzz with speculation and fan-casting, and big names like Brian De Palma, Lars von Trier, and Werner Herzog are already being floated as possible directors. Finnish actor Joonas Suotamo will be reprising his role as Chewbacca from 2018’s young Han Solo movie, and he’s excited to get back in the fur. If it sounds awesome now, imagine how great it will be in theaters. 2019 can’t get here soon enough!